Football betting teaches you the basic things there is to now about football bets, giving you a few tips on online soccer betting if you are a beginner. In order to attract as many players as possible, the online bookmakers are offering a betting bonus. If you like the idea of online betting, you must be at least 18 years old, have a credit card and open a betting account, which you has to replenish. After you first fill up the account, you will receive a betting bonus that you will have to run several times before being able to withdraw it. If you are a beginner in online betting, you will definitely be a little confused when you will try betting for the first time. That is because you are offered a lot of options to choose from and you are not familiar with any of them. However, you can relax, because you can find out all the details of online betting right here. First of all, if you understand football or any other sport, it is simple to understand the bets. The easiest explanation is the following. For example, in football you can bet on your favorite team (this is not necessarily the best option; if you want to win bet on the powerful one). If the team plays on their field (home), you should bet 1, while on a win away victory, you will bet 2. The sign for a draw is X. These are the most important signs you should know. However, you can bet on various situations. “The doubles” are the bets in which we go for two options at once. X1 means that either the home team wins, or there will be a draw. You choose X2 if you think that the guests will win or there will be a draw, or you opt for 12- victory of one of the two teams. If you feel lucky, you may also bet on the number of goals scored by the two teams, together. The number will be either under 2.5 (this means two goals maximum), or over 2.5 (more than three goals. Your betting can also be on the number of cards, corners, fouls, the halftime score, or even the exact score at the end of the game. This kind of bet is a very attractive one, because of the high betting odds, but it is also difficult to anticipate the right score of a game. At this bet, you should know that the higher is the score, the highest are the odds. When you want to bet only on the second half of the game, remember that the result of first half is not taken into consideration. If you believe that you can know when the score will open, go ahead and bet; the game divided in 5, 10 or 15 minutes. 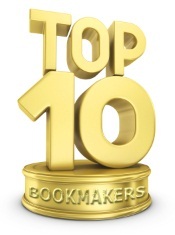 One of the most popular football betting is the one on scorers. Usually, the attackers have rates of 1.80-2.20 to score during the game. Some tips in football betting are: do not bet on your favorite team, unless it has high winning chances, always follow the football season if you decide to bet and do not start betting on high odds. Even if the ball is round, chances that a small team wins against a powerful one are reduced. The finest matches: Champions League Betting and Europa League Betting. After a detailed analysis in the sports betting sector, Fullbet team recommends you the safest online sports bookmakers: BET365, Bwin, Unibet. Here you will find the best odds, prizes, offers and you can take advantage right now of their great bonuses.